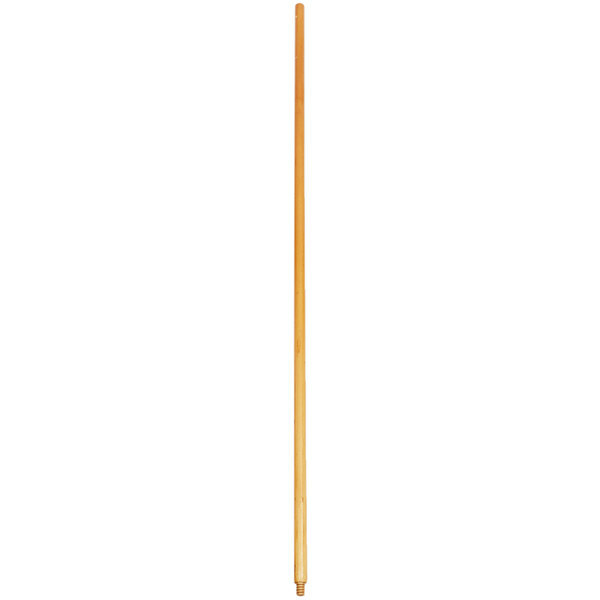 This Carlisle 4026700 60" broom handle boasts a dependable lacquered wood construction to stand up to the busy demands of your restaurant, hotel lobby, or grocery store. 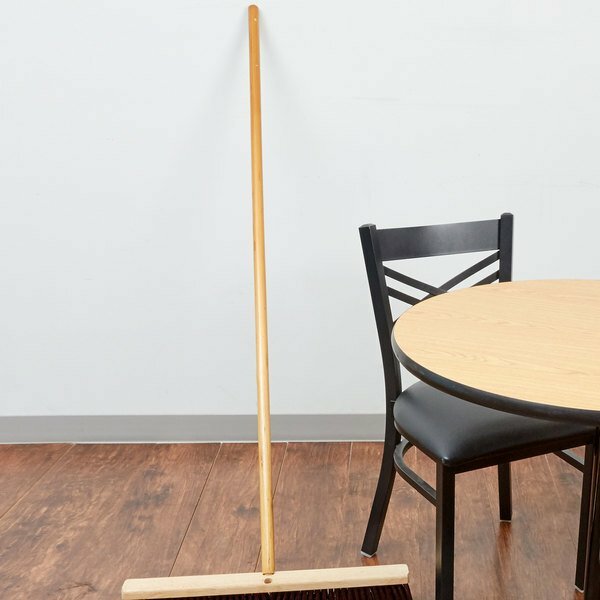 It's perfectly suited for use with a variety of push broom and angled broom heads to get your business up to the cleanest standards. It has a simple threaded tip that holds up against frequent use, ensuring longer service life. 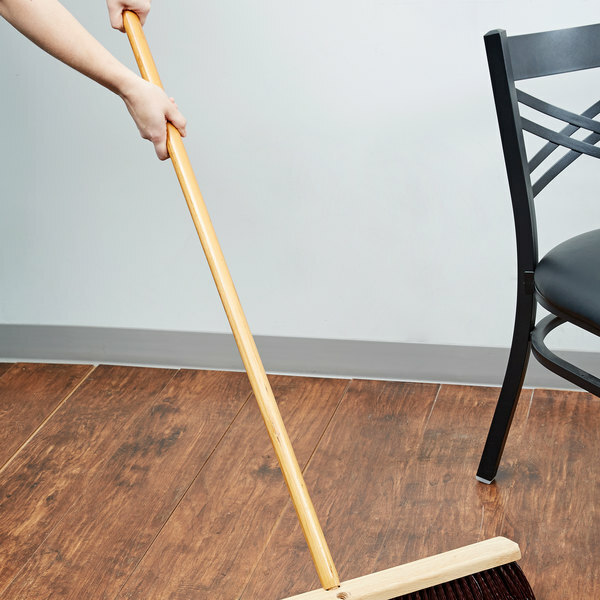 To top it all off, installation of compatible broom heads is a cinch, making this Carlisle wooden broom handle an invaluable addition to your floor care supplies. Pretty nice and inexpensive wooden broom handle. Nice finish and fits several broom heads. Threads don't hold up as long as metal ones but it gets the job done. 4 stars! This is just your typical broom handle at an excellent price. And it does the job! And easy to install and remove if needed. 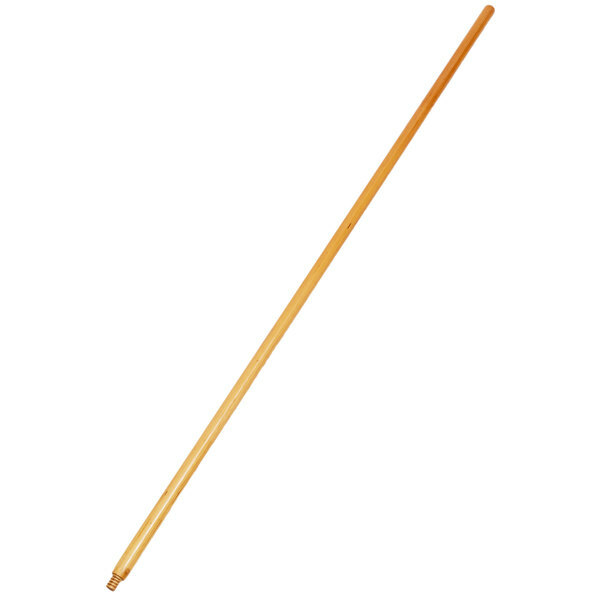 Sir Clean recommends this product Carlisle 4026700 60" Threaded Wooden Broom Handle, Perfect for use with push rooms, you can use this wooden broom handle in restaurants, store, also at home. 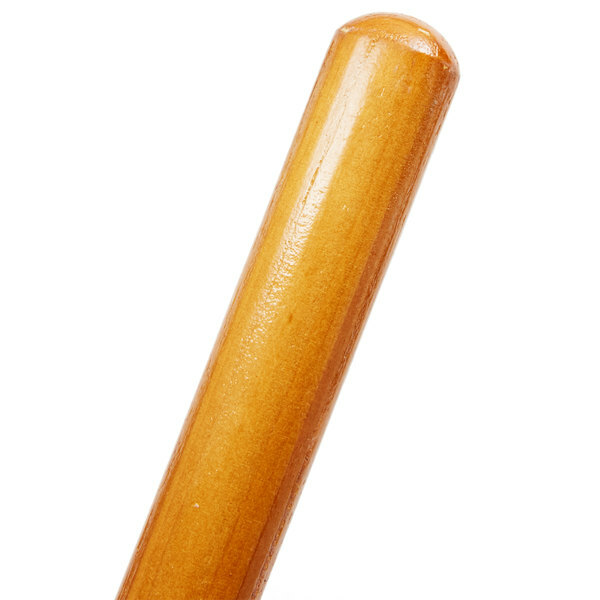 This is a heavy duty wooden broom handle with a threaded end. The end is not metal but it still sturdy and has nice threads that allow you to add any mop or broom head. Works pretty well, no complaints. Can imagine that if there was metal threads it would last longer. Good product with long handle. Not much to complain about. I like using this wooden handle for mops and large push brooms. It is easy to attach most broom heads on. Very strong and good for deck brushes. 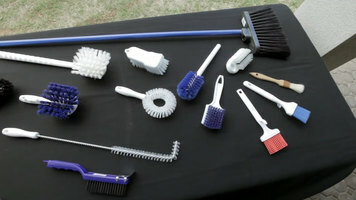 These are great for push brooms but they are awesome for deck brushes! They are very strong and let you use some force to clean without worrying about the handle breaking! !